Employers, is your company workforce as diverse as the city it serves? 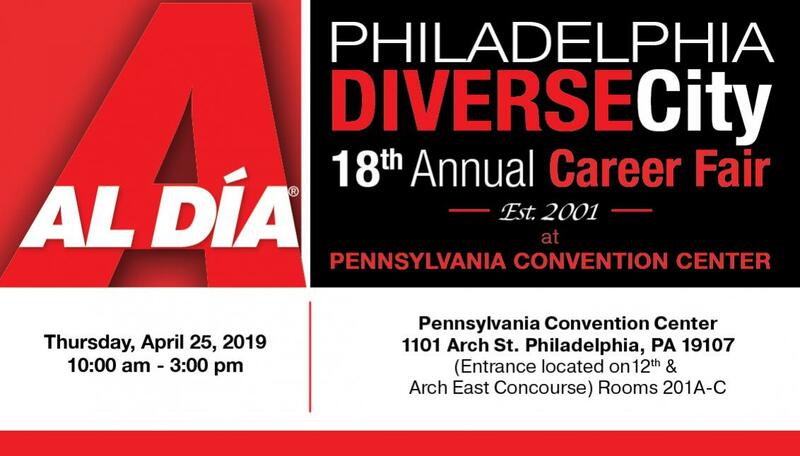 Join us on April 25th at the Pennsylvania Convention Center, and we'll introduce you to an audience of qualified, multicultural job-seekers who truly represent and understand Philadelphia's market. The 18th Annual Career Fair is a one-of-a-kind hiring event that gives employers a wealth of benefits including access to resumes, lunchtime speaking opportunities, and recognition in local media as a champion of diversity. Ready to meet your future talent?